This peculiar design is created by Alain Vanderauwera, a Swiss-Belgian architect and fountain pen devotee. Vanderauwera put his architectural mastery into creating a pen that provides a pure and blank canvas, breathing elegance, exclusivity and passion for handwritten design. 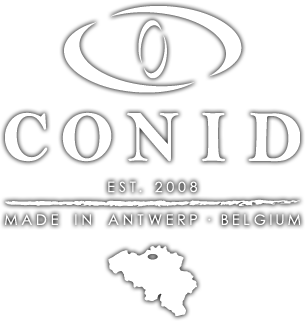 With his drawn-out design, Vanderauwera got in touch with Conid. We immediately were very excited about his drawings, and started thinking about how this could be executed into a real fountain pen. This finally resulted into the AvdA Minimalistica as we know it today: balanced, elegant and pure. What defines the AvdA Minimmalistica is its sleek contour and matte black Delrin material, covering the barrel in one continuous line. Finished with an # 6 nib, this unique Bulkfiller is an immaculate pleasure to the eye, in which contemporary design meets timeless sophistication. Because of its very streamlined shape, the cap needs to hold onto the barrel section without any threads. Together with Alain, we came up with the idea of implementing an o-ring inside the cap, which proves to work very efficiently. With this Minimalistica, Alain Vanderauwera pays tribute to the true essence of writing. His initial idea came into being: a fountain pen with a very simple and essential shape, which fits nicely in your hands when you write. Due to the absence of any wiring or metal rims, this fountain pen can be held in any way the writer desires. This creates an equilibrium for any designer or writer to set free his own imagination.